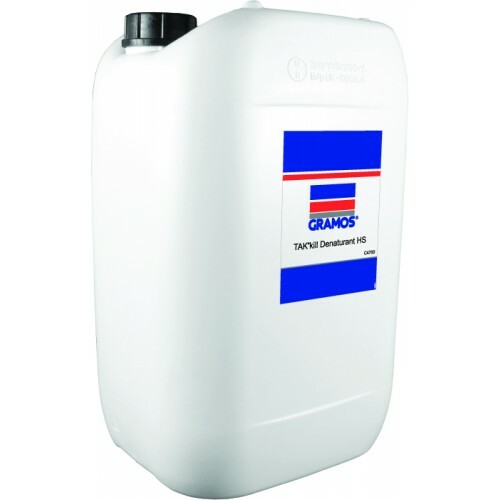 In keeping with Orapi's (Gramos) policy of continued improvement and research, Gramos applied have developed a paint denaturant based on organic components which result in a formulation as environmentally acceptable as it is effective. The product is also relatively safe to handle as it contains NO CAUSTIC ALKALIS. The TAKkill Denaturant HS system consits of one liquid component plus a regulator TAKkill HSR 3156 which are dosed into the water system of the spray booths. The condition of the paint solids are completely denatured, with no residual tackiness or tendency to stick to surfaces with which they come into contact.